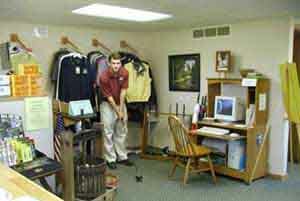 Rental golf clubs are available in right and left handed men's and women's. 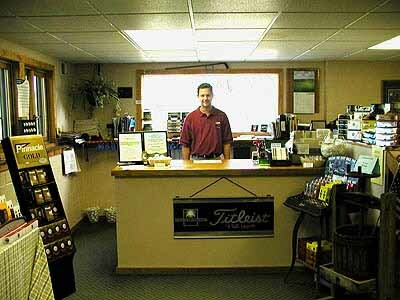 Our friendly staff will attempt to meet any need you may have while golfing at Airway Meadows Golf Club. The Golf Handicap and Information Network (GHIN) is available for your use on our public use computer in the pro shop and is available to any member of our Club. The system was developed by the USGA in 1981 in order to accommodate golfers with an approved handicapping system. The member golfer may enter scores from any course with a slope and course rating either at the course they played (if the course has a computer with the GHIN system on it), or at their home course. This is very convenient for the traveling golfer. The GHIN system is used nationwide by more than 65 State and Regional Golf Associations and 8,500 golf clubs. We have been using the GHIN system since 2000 with participation by 90 percent of our members. Our staff is knowledgeable of the system and is available to assist you in using the GHIN network to attain a handicap. Our newest additions to the pro shop are this season's Titliest Golf Bags. See below for details about other merchandise offered.